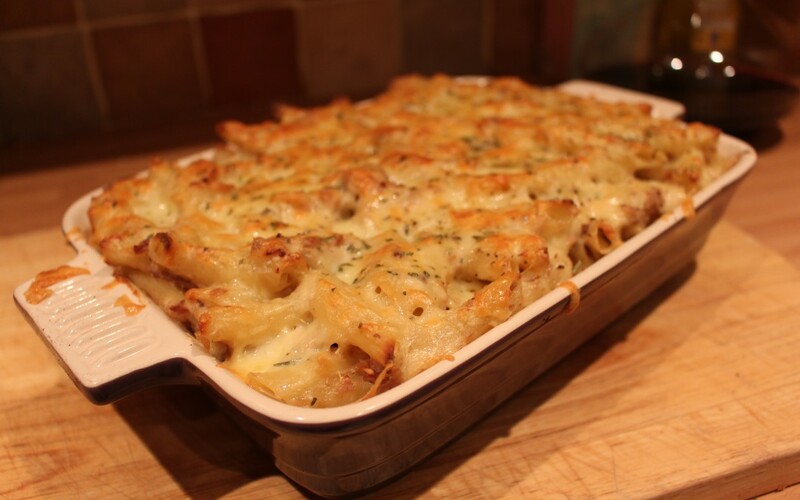 I first made this at university for my flat mates, it soon became one of my go to meals for comfort food. One of the reasons why its so good it’s very easy to adjust the ingredients to suit your own tastes. It’s very rich with the cream cheese, so if you want to tone it down (and the calories) just add 100g. Set the oven to 180C. Cook the pasta to packet instructions, when just aldenté drain and add back to the pan. Add the tuna, cream cheese, handful of the cheddar and the sweetcorn if using, fold in gently so the ingredients are fully mixed and season with pepper. Pour mix into a large baking dish, sprinkle the rest of the cheddar over the top and give the top a final grind of pepper. Bake for 15-20 minutes. Put under the grill for a further 5-10 minutes until the cheese is golden bubbling. Serve.